This beautiful summer has come (and is going!) so quickly and brought with it one of my favorite parts of being a harpist – playing weddings! 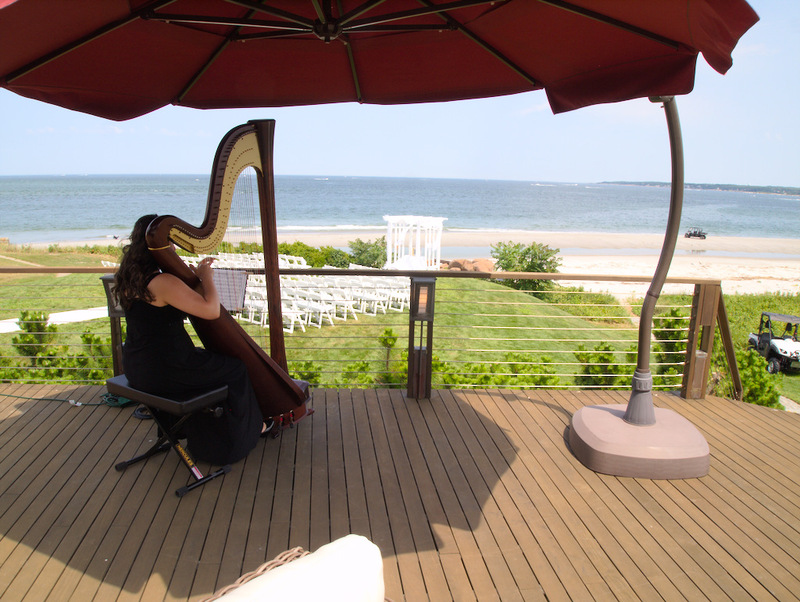 While the majority of weddings happen in the summer months, I play harp for a variety of weddings and events year-round in addition to maintaining a performance schedule of recitals, house concerts and chamber projects at various venues throughout New England. Each type of performance brings its own joy, but ever since I played my first wedding (over ten years ago), I’ve loved every aspect of playing for someone’s special day: dressing up, gorgeous venues, seeing the excitement of the family and friends, and being part of honoring a couple’s love for one another. As part of my work with individual clients, we have a pre-wedding consultation to discuss ceremony music selections and go over all the logistics for the big day. Getting to know these wonderful couples is always a pleasure and each and every time I am honored to be selected to be part of one of the most special days of their lives. The above photo is one of the venues I had the pleasure of playing at this summer – who could ask for a better workplace?! P.S. Interested in harp music for your wedding or event? Please feel free to use the Contact Form on this website to be in touch with any questions about availability or event details. I’m currently based in Los Angeles, but I’m happy to travel to around the Southern CA area – it would be an honor to work with you!